Garlic is a magical herb. In fact, it is nature’s greatest antibiotic! There are tons of benefit if you eat garlic daily. Do check out! Garlic is probably the most wonderful plant from the Allium family. The same family to which onions belong. It grows popularly in many parts of the world and diversely used as an ingredient in cooking due to its strong smell, delicious taste, and spicy flavor. It not only gives good taste to the food but also is one of the most powerful antibiotic. It can heal many ailments and popularly known for its antibiotic, antioxidant, antifungal, anti-inflammatory and antibacterial properties. Without a doubt, it’s a boon to humankind. Consuming it raw have myriads of health benefits and it works as a powerful medicine– There are many uses of garlic in Ayurveda and traditional Chinese medicines. It is scientifically proven that it decreases cholesterol and high blood pressure. Daily consumption of garlic also prevents heart attack and coronary heart disease. It’s true! It can improve your immunity and the body’s ability to remove toxins. Garlic combined with ginger and onion can detoxify your body from chemotherapy. 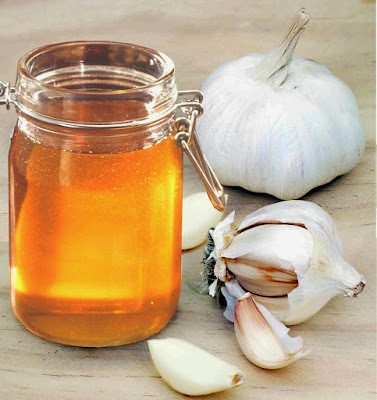 The best way to consume garlic is raw, because allicin, its active ingredient is decentralized by heat. Before consuming it crush and slice the clove, and leave it for 15 minutes. When you crush, it activates a reaction that makes allicin more bio-available. Be aware of the fact that it works best when eaten on an empty stomach. If you take this combination every day, you will feel more energized, healthy and it will boost your immune system extremely high extent within a WEEK.